On behalf of the NABJ Board of Directors and staff, I am excited to share the latest and very important 2017 NABJ Convention & Career Fair highlights. We are just three weeks away and gearing up for the #NABJ17 "Power Up & Break Through"convention at the Hilton New Orleans Riverside Hotel from Aug. 9-13, 2017. We expect nearly 3,000 journalists, media professionals, educators and students to attend our annual gathering in New Orleans, Louisiana. Please share this email with your colleagues for a program rundown and visit our convention home for updates here. The NABJ Convention begins at 8 a.m. on Wednesday, Aug. 9. Come ready for an action-packed first day. Like last year, get to New Orleans Tuesday evening to take full advantage of the programming that starts Wednesday morning -- workshop panels, as well as half day and full day learning labs commence at 9 a.m.
NBC's Al Roker will be joining us in New Orleans and will lead a breakout session that covers how to start your own media business with TheGriot.com founder David Wilson. Other notable journalists who will be in attendance include: New York Times Publisher Arthur Sulzberger Jr., HuffPost Editor-in-Chief Lydia Polgreen, CBS Evening News Executive Producer Steve Capus, Vox.com Executive Editor Lauren Williams and legendary broadcaster Carole Simpson. Also, there will be a special appearance by CBS' Shemar Moore. More details to come. The NABJ Career Fair opens at 12 p.m. on Wednesday, Aug. 9 and closes on Friday, Aug. 11 at 5 p.m. 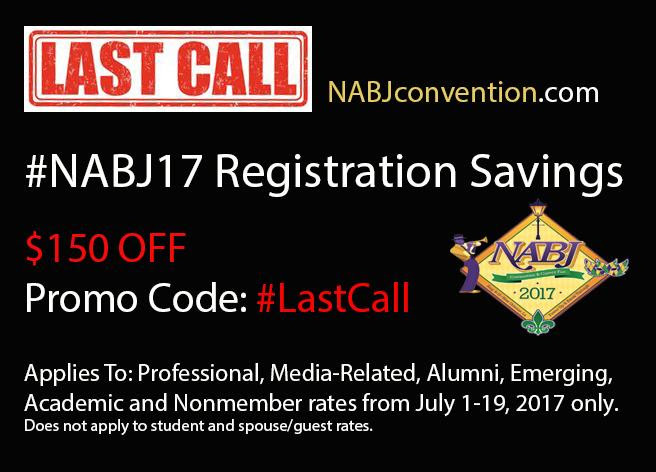 The Last Call #NABJ17 registration discount is available until tomorrow -- Wednesday, July 19. Insert the promo code: #LastCall to receive $150 off the onsite convention rates. NABJ is partnering with Eli Lilly to bring cheer to the local community. In our seventh annual day of service, NABJ members are invited to volunteer to help rebuild a home on Saturday, Aug. 12 and help a family still impacted by the ravages of Hurricane Katrina. Register to volunteer by July 21 here. The ASNE Emerging Leaders Institute, produced by the American Society of News Editors and NABJ, is still accepting applicants. 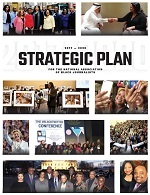 The NABJ Executive Suite program takes place Aug. 8-9. If you are an emerging newsroom leader in broadcast, print, radio or online, this program is for you. You will receive complimentary two nights stay ahead of the convention and a $500 travel reimbursement. Apply here. You can book your room at the Marriott at the discounted rate of $149 plus tax through July 26. After the convention rate deadline or this Friday, rates are subject to go up. NABJ is offering a limited number of Hardship Applications that cover the cost of convention registration. The deadline is Thursday, July 20. Learn more about the NABJ Hardship Registration program here. NABJ produces the largest journalism jobs fair in the United States. Check out the employers who will be attending the convention. Some of our first-time partners include: Facebook, Google and Mashable. A warm NABJ welcome to all our returning and new exhibitors! Join your colleagues and attend NABJ's Hall of Fame and Salute to Excellence Awards. 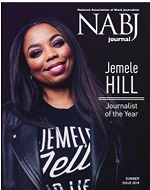 See NABJ Journalist of the Year April Ryan receive her award and hear from the New York Times' Charles Blow as he gives special remarks. Check out the 2017 NABJ Salute to Excellence Awards finalists here. Then fuel up Sunday morning before heading home and get your breakfast served with the sweet sounds of gospel music. Buy your meal tickets tickets here. 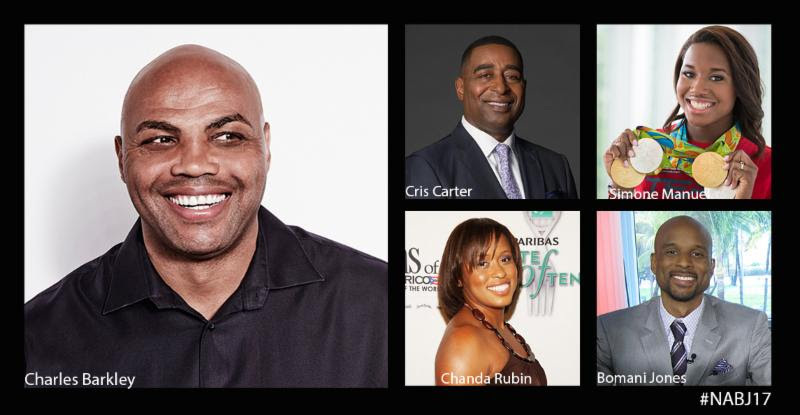 The NABJ Sports Task Force welcomes Charles Barkley, Simone Manuel and other sports influencers. The Sports Task Force Scholarship Jam takes place Friday, Aug. 11 at the House of Blues. OWN's Queen Sugar and Greenleaf casts will descend upon NABJ on Friday. In addition, the NABJ Film Festival shines with a range of films that meets everyone's interests. In addition, NABJ's Arts & Entertainment Task Force will host upfronts on Friday at 8 p.m. It's Thursday and Friday at 6:30 p.m. and that means it's NABJ Reception time! Roll through the receptions hosted by various partners, universities and news organizations. Training Day takes place Wednesday. This daylong workshop is geared toward students, emerging journalists and first-time convention attendees. The curriculum helps you sharpen your elevator pitch and make the most of the convention. Friday, Aug. 11 is election day. Be sure to vote by 5 p.m. to select positions on the next board of directors. NABJ members in good standing may vote now or onsite through Aug. 11 here. Stop by our new section of the convention experience. Meet employers and NABJ partners as you enjoy a beverage in a special networking area beyond the career fair. We are so honored to have a dynamic honorary committee and local partners host committee. A big thank you to: Warren Bell, Michelle Miller, Demetric M. Mercadel, Tod Smith, Cheryl Teamer and Jimmie Woods. NABJ offers about 100 workshops that cover #BlackGirlMagic in Broadcast News to Virtual Reality Journalism. Check out the workshop and professional development breakfast/lunch offerings here. Many thanks to the program team who put together the great slate of workshops: Ava Thompson Greenwell, Ph.D., Sybril Brown, Ph.D., Gary Hairlson, Sheila Jack, Alphonso Van Marsh, Nicondra Norwood and Marcus Vanderberg. The Author's Showcase is sure to please as this year's top authors join us. The Innovation Bubble is back for year two and has the latest technology, gadgets and digital training. The local chapter has re-emerged in The Big Easy under the leadership of President Rachel Graham. 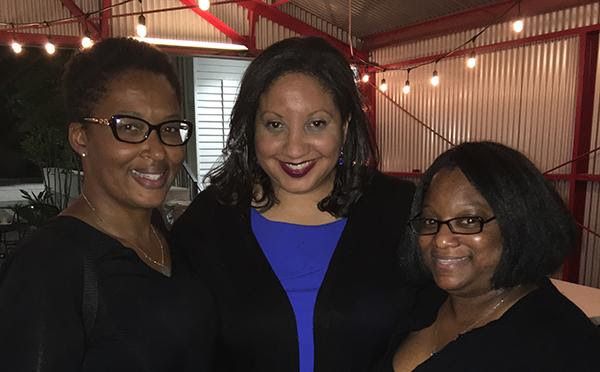 Join the New Orleans Association of Black Journalists for the Convention Kick Off Party on Wednesday evening after the Opening Ceremony and for a special Nola Party with a Purpose on Thursday evening.